What’s the secret behind ‘brand churches’? Why do people line up in droves at Apple stores when Apple decides to release a new product? 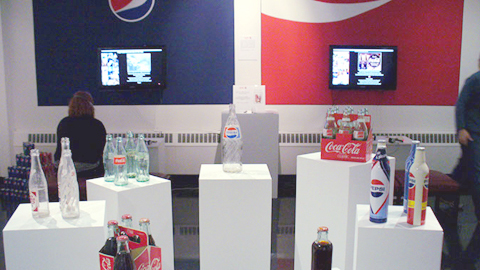 Why do most people still prefer Coca-Cola over Pepsi? And why is Harley Davidson still the ultimate rebel motorcycle? Call it popularity gone wild or faithfulness, but it’s a scientifically proven fact: (some) brands are like a religion. 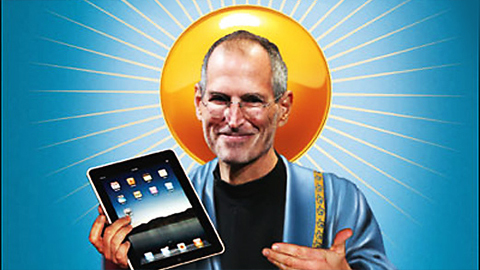 The ultimate example is Apple, with Steve Jobs as (former) God. Neurological research has proven that Apple has the same effect on the brain as religion does on true believers. And the proof also stands for Coca-Cola. People were served Coke and Pepsi and if they didn’t know what they were drinking, half of those people thought the Pepsi was just as good as the ‘real’ Coke. When they did know, their brains would send signals of positive connotations with Coke and the majority would prefer ‘the real thing’. Neuromarketing in itself is nothing new, but due to more sophisticated equipment there’s more to be gained from it. Recent technology has made it possible to infiltrate a consumer’s deepest subconsciousness. 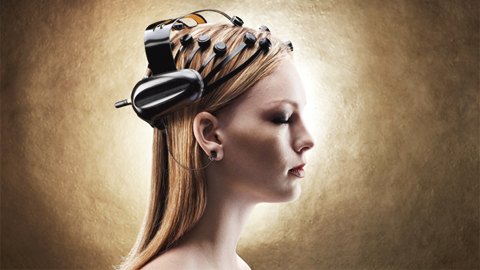 Take for instance the Mynd device, a portable wireless electroencephalogram (or EEG), developed by American consumer research organisation NeuroFocus. Measurability is of increasing importance these days, so these devices offer certain benefits because they can allegedly measure the ‘immeasurable’. Due to the relative reliability and speed of these results, the gains will surpass the costs (= positive return on investment, return on emotion and return on revenue). Neurofocus claims that the Mynd can figure out what people really think about commercials, ads and products by exploring the consumers’ subconscious minds. The results are relatively objective because people can’t really – consciously – manipulate the results of these tests. With the exact EEG data it’s possible to ‘capture’ the electrical waves that are linked to emotions, memories and paying attention. When all these waves have been put together, complex algorithms can browse through the data to find information linked to reactions at certain moments (for example while watching/listening to an ad). Devices like the Mynd can help brands make their campaigns more effective. The (unvoiced) opinions of people are finally heard and that’s how Mynd can turn a brand into a church. These technologies might seem futuristic and far-fetched and you may thing they’ll never become a mainstream reality, but manipulation is more frequently used than you’d expect. For example: a very sly approach is used in America when it comes to airing re-runs. The products in the original episodes are digitally altered to look like more recent consumer products (think mobile phones, cornflakes, soda..). Quite often these products didn’t even exist yet when the original episodes were aired. So pay close attention next time you’re watching an old ‘Friends’ episodes. If you suddenly spot an iPhone or iPad on the coffee table, they might be trying to convert you to the Church of Apple.